When Harrison Bourikas was an undergraduate mechanical engineering student, he took a capstone course that challenged him to design a custom solution for maintenance staff at his college's ice hockey rink. The staff members wanted to quickly replace broken pieces of tempered glass. It was his first glimpse of using human-centered design to solve problems. "It showed me the importance of communicating with stakeholders to figure out what users actually want and need," he said. 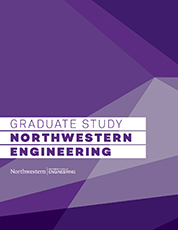 While in that class, Bourikas spoke with a representative from the Master of Science in Engineering Design Innovation (EDI) program in Northwestern Engineering's Segal Design Institute. Once he learned more about the program, he was hooked. 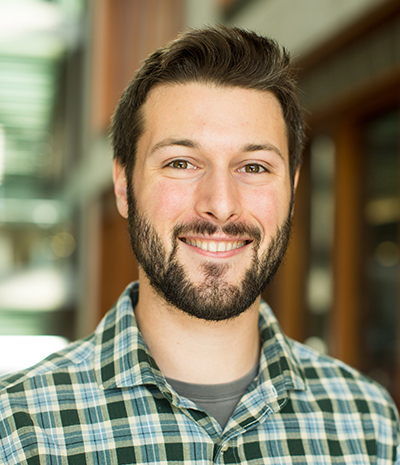 After a few years of working in industry, Bourikas applied to the program and is now on his way to a career in human-centered design. "The EDI program has been a home run," he said. "It has been everything I thought it would be and more." His story reflects that of many EDI students — engineers with a technical background who are looking for a broad base of human-centered design expertise as they move into integrated design roles in front-end design and innovation. The program incorporates several specific touchpoints aimed at helping students find their path. Along the way, students receive support from program leadership, alumni, the Northwestern community and their cohort. Coaching students on how to focus their academic efforts to align with their post-graduate career goals starts before students even begin the program. To define their direction, students pick three areas of interest that will help guide them throughout the program. 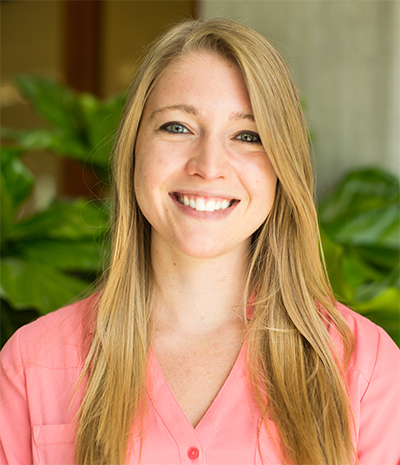 Second-year student Ellen Owens, for example, chose product design, consumer products, and healthcare. "I knew these were my passions and this is what I wanted to do, so it helped me plan out my curriculum and focus my project work with teams," she said. 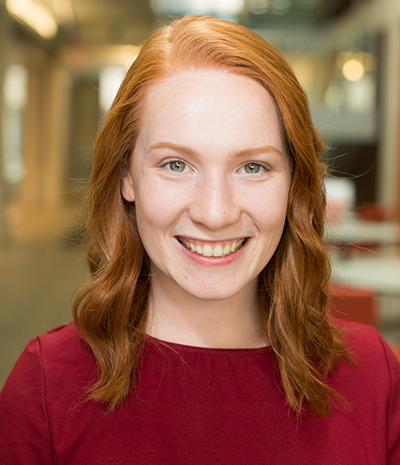 First-year student Alyssa Brown chose service design, consumer products, and entrepreneurship because she would ultimately like to start her own company. Though she has had several ideas for business in this past, the EDI program, through its emphasis on human-centered design, is teaching her how to understand user needs. She is enrolled in NUvention: Medical, an entrepreneurship course that puts together interdisciplinary teams of students to start businesses in medical technologies. "We are learning concrete ways to figure out user needs and how to translate those into products or a business model," she said. "It's an extremely valuable skill. It will help me find ideas for companies that will be more useful." In addition to the curriculum — which includes core courses, electives, an internship, and a thesis project — students also prepare for their careers with the help of a network of nearly 173 alumni, many of whom host company visits or come back to campus to give studio talks on the ways in which their EDI experiences impact the work they do in industry. This year, students have visited Feeding America, Google, IA Collaborative, iRobot, LPK, Uber Freight, and Procter & Gamble. They have also had visits from alumni from IBM, Microsoft, 3M, Milwaukee Tool, SAP, and many other companies. These visits aren't just canned lectures — they are intimate conversations between students and alumni about how design integrates in different fields. That's important in an industry where integrated design innovation skills don't fall easily into one job category. "It really helps to understand how design works in different companies," Owens said. "It also helps to know what different industries are looking for and where we might fit into that." Wicks and EDI's Studio Director Amy O'Keefe recruit industry partners to bring design projects to studio courses. They also identify and hire design professionals with years of experience to co-instruct in the studio. "It's great to learn from professors who have so much experience and insight in design," Bourikas said. "They don't teach out of a book. They teach from their experiences, which is invaluable." Their goal is to help develop T-shaped students — students with deep expertise in one area along with broad knowledge of human-centered design — who can create the career they want. "In the program, we help them develop a highly customizable path," O'Keefe said. "We want students to be exposed to different areas and look at their career goals through different lenses so they can make the most of their time in the program." In addition to portfolio reviews and advising, Wicks and O'Keefe also personally connect students to alumni and job and internship opportunities within the field. "We give a lot of thought to finding the right alumni or industry connection for each student. That's how we operate, and that's the benefit our program offers to students," Wicks said. The program, which enrolls fewer than 25 students a year, also helps create an intimate atmosphere where students learn from and help each other. While working on a project in the Service Design Studio, Owens and fellow student Gar Waterman realized they made a good team. Waterman was the chief technology officer of the startup PedalCell, which develops technology to capture energy from a bicycle's motion to power electronics. That connection led to an internship for Owens and ultimately to a job offer as a design engineer with the company when she finishes the program. "That sort of peer-to-peer support has been really strong for me," she said. EDI graduates go on to careers as design engineers, design researchers, UI/UX designers, service designers, and product managers in industries like technology, healthcare, and consumer goods. The areas of focus that they chose when they started EDI, combined with their experiences in the program, defined their individual career paths and enabled them to articulate their intended direction to prospective employers. "Our students are really brave," Wicks said. "They are preparing for roles in industries at the forefront of innovation. They aren't cookie-cutter, but neither are the roles they are seeking. By defining their areas of focus early on, they are able to draw on the resources of the program and the university as they forge their own path. It takes a lot of individual effort, but it's worth it. It is incredibly rewarding helping students realize their goals." When Bourikas came into the program, he chose product design, design engineering, healthcare as his focus areas. This past summer he was hired for an internship at Mitre, a federally funded research and development lab. There, he worked with the Department of Veterans Affairs to help improve the lives of veterans. That internship led to a full-time job offer as a human-centered engineer, a role that aligned perfectly with his desired path. "It's a really exciting time to be in design," he said. "Companies see the value in it. My work focuses on talking to the end users and evaluating their needs. I can directly affect people with the types of products I'm helping to create."